30th September – 30th November 2017. 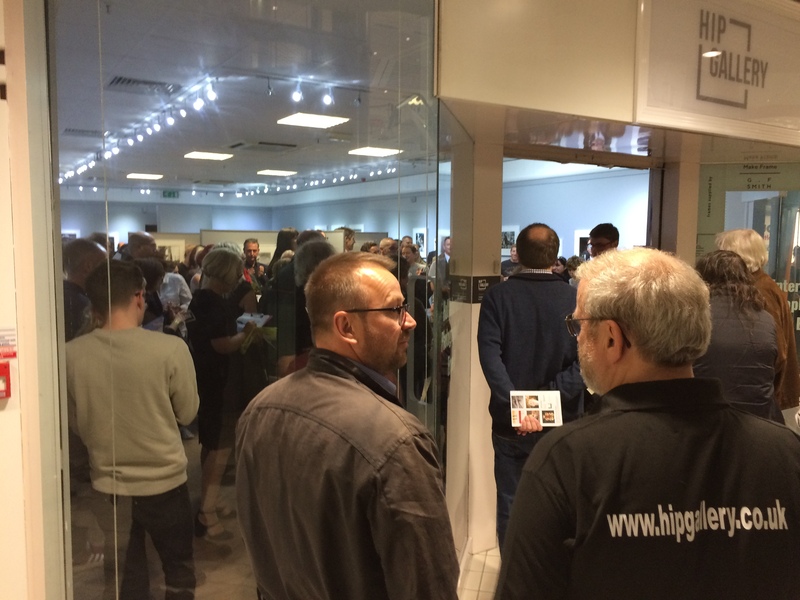 – HIP Gallery, Princes Quay, Harbour Deck. – Creative and Cultural, Princes Quay, Harbour Deck, Hull. – Central Library, Childrens Library, Hull. – Kardomah 94, Alfred Gelder Street, Hull. Note: In addition to the exhibitions there will also be a variety of Workshops for the duration of the festival. Key people include Matthew Finn, Ian Macdonald, Matt Hart, Jamie Macdonald, Peter Dench, Viceversa Robbi, Rich Wiles, Keith Britton, David Neve, Nigel Walker, Dave Morris, Alan Raw and Lou Hazelwood. After being invited to the opening evening of Hip Photography Festival by Curator Alan Raw I was really looking forward to seeing what the festival had in store in its 4th year of running. Last year it had a record number of 90,000 visitors and is definitely a festival to visit. It was a full house when we arrived and we were welcomed by Creative & Cultural’s very own Richard Lees who gave us a great insight into the hard work involved in setting up the festival organised purely by volunteers. We started our tour in the Hip Gallery before working our way round to other exhibition spaces. Unfortunately we didn’t manage to get round all of it due to talking to the many people in attendance fully enjoying the complimentary drinks and food on offer. There is plenty to see and I will be returning to see more of the festival which will be running until the 30th November with different exhibitions taking place throughout the city. I highly recommend you taking the time to visit this festival as it is definitely not one to be miss out on.